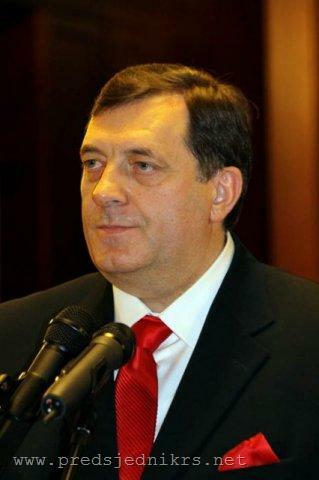 Bosnian Serb leader Milorad Dodik managed to irritate the international community again with a new drive to challenge the legitimacy of the central institutions. Upon his initiative, the Parliament of Republika Srpska has decided to call a referendum on High Representative's imposed laws on the Bosnia and Herzegovina (BiH)'s Court and Prosecutor's Office. The vote is expected to take place in June. Why are Bosnian Serbs unhappy with the two judicial institutions? We should firstly recall that they were set up according to laws approved by the High Representative and adopted in 2002 and 2003 by central parliament. Their aim is to relieve the burden of the Hague tribunal in prosecuting war crimes, committed during the 1992-1995 Bosnian war. Bosnian Serb leaders blame the court and the prosecutor's office for applying selective justice and being biased regarding the Serbs, as most of the pressed charges concern representatives of their ethnicity. Leaders in Banja Luka claim that as long as the two institutions are not established with the Dayton Peace Agreement, that put an end to the war, they are illegitimate and Republika Srpska has the right to decide whether to recognise their decisions and to insist on their transformation. The reaction of the international community was swift. EU representative Miroslav Lajcak arrived on April 28th in Sarajevo to discuss the situation with local leaders. He called Republika Srpska's decision irresponsible and warned that it hampered the EU integration of the country. Lajcak also urged High Representative Valentin Inzko to react to this challenge. In an interview with The Guardian on April 28th Inzko warned that if Bosnian Serbs did not give up the referendum, the EU could impose severe sanctions against Dodik and his associates. He said that Bosnia was facing the most serious crisis since the end of the war because of the Bosnian Serb secessionist policy, aimed at paralyzing the country. In his words the referendum challenges the role of the high representative and represents a direct attack to the Dayton peace Agreement. He vowed to resort to his powers and halt the referendum if Bosnian Serbs did not back down from the vote. 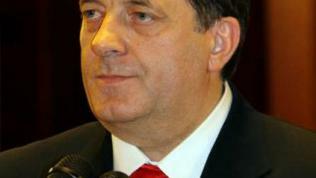 Republika Srpska President Milorad Dodik stated this week that he would not give up plans to hold the referendum. He also refuted as speculations the allegations that the referendum would be a rehearsal for another one - on the status of the entity. Serbia, which is guarantor of the Dayton Peace Agreement, reacted as expected. President Boris Tadic reiterated Belgrade's official stance that Serbia would not back a referendum that would put into question Bosnia's territorial integrity. The latest challenge from the part of the Bosnian Serbs towards the central-level authorities and the international presence comes amid a deep political crisis in the country. Seven months after the general elections, Bosnia is still lacking central government, due to the failure of the constitutive peoples to agree on power sharing. Following their exclusion from the government in the Federation of Bosnia (Bosniak-Croat Federation), the main Croat parties HDZ BiH and HDZ 1990 renewed their calls for changes to the constitution in order to create a third entity for Croats. Having in mind the current political situation, Bosnia will face difficulties in advancing in the EU integration process. This was pointed out by Miroslav Lajcak as well. He highlighted that the country needed authorities that would turn their back on personal and partisan interests and will embrace reforms, and a programme that would guarantee Bosnia's European future.